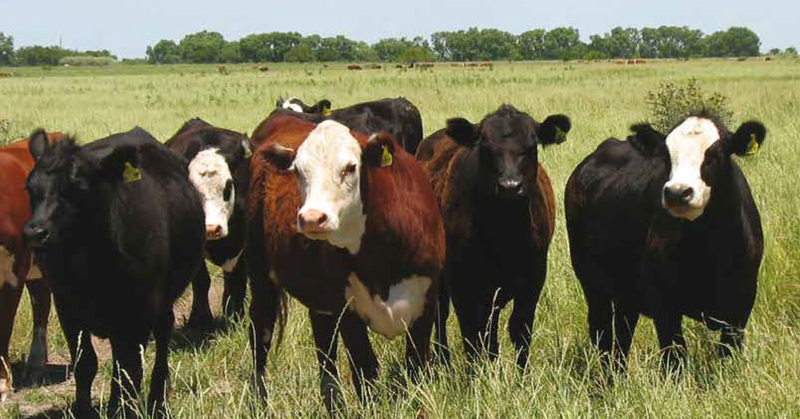 The Oregon Department of Agriculture reports that cattle and calves has taken the lead in production value for 2014 in Oregon’s top agricultural commodities. This is the first time back in the number one spot since 1994, when greenhouse and nursery overtook cattle and calves. In Oregon, cattle country has seen the most dramatic increase in production value— up 38% from 2013 to 2014. “That industry hasn’t been number one since the early 90s, so I’m sure it’s exciting for them to be a leader once again,” says Kathryn Walker, special assistant to the director for the Oregon Department of Agriculture. “There have been some very strong cattle prices the last couple of years and that is reflected in the value of production for cattle and calves.” Statistics from USDA’s National Agricultural Statistics Service (NASS) show Oregon agriculture as a major economic contributor to the state with total production value for recent years at around $5.4 billion. Successful commodities rely on strong production and high sales prices. 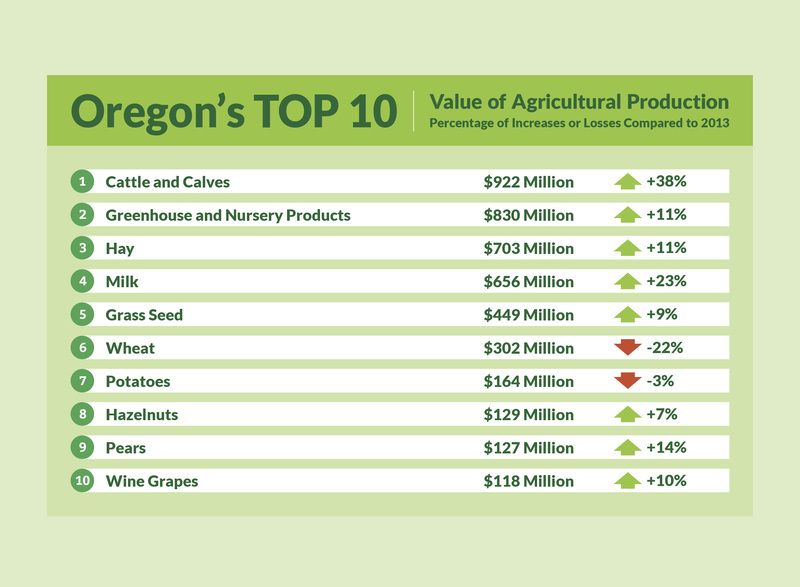 Oregon’s top 10 in the value of agricultural production are as shown in the chart below— with percentage of increases or losses compared to 2013. Onions, Christmas trees, and blueberries missed the top ten list, yet still surpassed $100 million in production value. Commodities not in the top ten with significant increases include sweet corn (+29%), blackberries (+18%), and blueberries (+8%). For the first time ever, Oregon had two commodities above the $800 million mark in production value and four valued at more than a half billion dollars. The cattle and calves category is on the brink of reaching the billion dollar mark, reached only once before by greenhouse and nursery products at $1.039 billion in 2007. 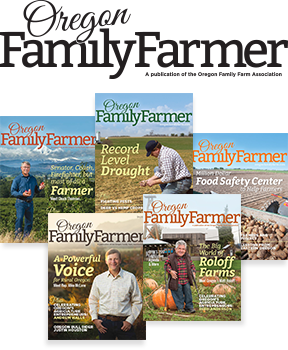 “It was generally a great year for Oregon’s farmers and ranchers,” says Walker. “When you have so many commodities with a production value above $500 million, that’s impressive. Preliminary statistics for 2014 show 34,600 farms in Oregon with the average size being 474 acres. The numbers include commodities in which Oregon production leads the nation—Christmas trees, hazelnuts, grass seed, blackberries, boysenberries, storage onions, and potted florist azaleas. With 220 commodities, the agricultural diversity in the state serves to protect the overall industry. When compared with Midwest states which rely on two or three commodities, Oregon has 17 which have a value of at least $50 million.